Top Five Books, LLC, 9780985278755, 418pp. In the fictional 18th-century city of Airenchester, England, the body of Thaddeus Grainger's rival turns up stabbed to death in an alley just hours after their inconclusive duel. Only one suspect comes to mind. Charged with murder, Grainger's fate is sealed before his trial even begins. A young gentleman of means but of meaningless pursuits, Grainger is cast into the notorious Bellstrom Gaol, where he must quickly learn to survive in the filthy, ramshackle prison. The "Bells"--where debtors, gaolers, whores, thieves, and murderers all mix freely and where every privilege comes at a price--will be the young man's home for the rest of his life unless he can prove his innocence. Despite his downfall, his friends--the journalist William Quillby and Cassie Redruth, the poor young girl who owes Grainger a debt of gratitude--refuse to abandon him. But before they can win his freedom, they must contend with forces both inside and outside the prison determined to keep Grainger behind bars and, at the same time, decode the meaning behind the crude wax seal that inspires terror in those who know its portent. 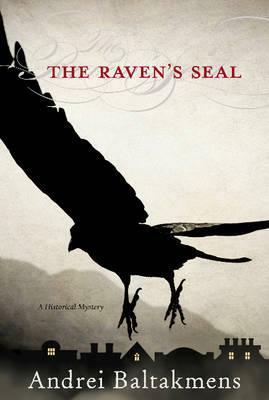 Set against the urban backdrop of late 18th-century England, The Raven's Seal unravels a tale of corruption, betrayal, murder, and--ultimately--redemption and love.